The long overdue celebration of the women of the American Revolution comes eloquently to life in these true stories. Their inspiring tales provide important lessons to readers of all ages. Molly Pitcher who "manned" a cannon when her husband was wounded in battle and inspired the Patriot troops to fight on. In Amelia Earhart, Young Air Pioneer, children will meet a young Kansas heroine who showed the traits of courage and grace under pressure at an early age. Rescuing the neighbor boys from an angry dog, building and riding her own roller coaster, narrowly missing danger while sledding on an icy hill - all these adventures and more will help readers identify with Earhart as a child just their age. This book would make a nice addition to the library of any elementary school-age child. Earhart's story is an excellent introduction to the (Young Patriots) series . . . Important addition to the area of books . . . about female heroes. 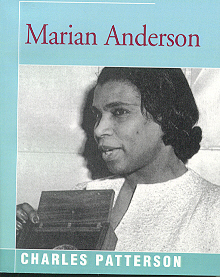 A biography of the great African-American concert singer Marian Anderson. This book traces her life as a young girl singing in church in south Philadelphia, to the racism she faced in the South, through her breakthrough and acclaim in Europe in the 1930's to her eventural success at home in the United States. A tremendous story of belief, preserverance and courage against all odds. Winner of the Carter G. Woodson Book Award for the year's best book on race and ethnicity, 1989. Presented by the National Council for Social Studies. For more information or to order visit iUniverse. A biography of Texan Bessie Coleman, the first black aviatrix, who earned her pilot's license two years before Amerlia Earhart. 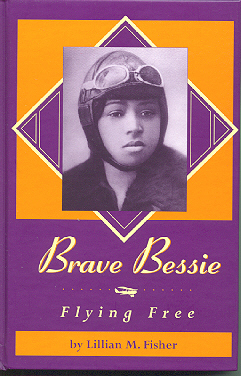 Born in 1893 in Texas, Bessie accomplished her dream to fly an airplane and "get above those cotton fields." She grew up in in Texas and moved to Chicago to work. There she learned to speak and understand French in order to attend flight school in France, where she was awarded her international pilot's license. Part balck and part Cherokee Indian, Bessie overcame many prejudices to thrill audiences in widely publicized air shows. This biography offers an intriguing look at the period and the woman.